Despite the unnecessarily increasing amount of individual awards in football, the winners have remained constant. 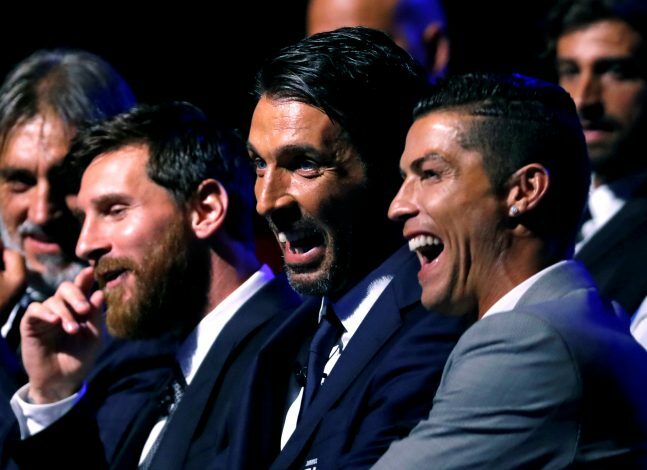 Lionel Messi and Cristiano Ronaldo have dominated the men’s game for just over a decade now, annually scooping up the glamorous ‘Best Player of the Year’ awards given by FIFA, UEFA, and France Football, and their grip on these honours is showing no sign of letting up. Last season, both players were at their sparkling best, and enjoyed very successful campaigns for very different reasons. Messi scored a remarkable – well, for normal professionals and viewers anyway, considering nothing is too big a record for these two – 54 goals in 52 appearances for Barcelona, leading them to a Copa Del Rey title, while also playing a vital part in securing Argentina’s qualification for next year’s World Cup. Ronaldo, on the other hand, played less games, but had an equally stunning record of 42 goals in 46 appearances. However, his contribution led to greater overall success, as Real Madrid won the Champions League and Liga Santander double, and this had a big influence on the awards that have been handed out so far. The Portuguese superstar secured the ‘UEFA Men’s Player Of The Year’ award back in August, and the ‘FIFA Best Player Of The Year’ in October. Usually, when a player scoops up two awards, you think it would be obvious that the third one will follow suit. Or would it? If these recent leaked images of France Football’s December edition of their magazine are anything to go by, the Ballon d’Or, an award that used to be joint with FIFA’s till last year’s split, is actually going to Messi. The Ballon d’Or winner is voted by several select journalists from around the world, and they seem to believe that the Argentine is more worthy of this year’s gong than his arch rival. This paints an interesting picture, with both Ronaldo and Messi currently tied on 5 Ballon d’Ors each, and whoever secures it will get to boast their supremacy for yet another year. Ronaldo has struggled so far this season, having only scored one goal in La Liga, and will have to find his form as soon as possible, or he could risk seeing his rival pull away from him next year as well, considering the 32-year-old doesn’t seem likely to win it after these revelations.